@Highland will be developed as a Center of Excellence bringing the next generation digital experience and lifestyle to Baton Rouge. It will highlight our riches – our people, food and traditions in a progressive context. 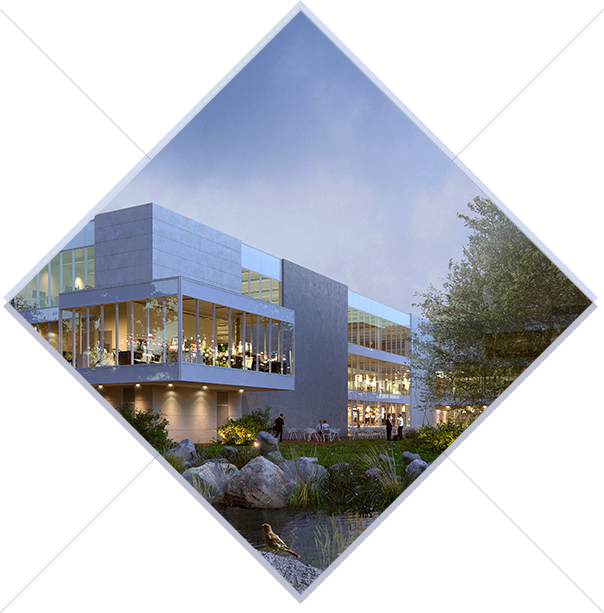 Lead by General Informatics, a team with 15 years of success and awards, architected by Eskew+Dumez+Ripple, the AIA architectural firm on the year and Manning Architects, being built by Mapp with financial support from Iberia Bank, @ Highland has the right players to build a quality campus. Contact Us for leasing inquiries. Situated next to the scenic Bluebonnet Swamp, has the potential to revitalize a forgotten city asset. @Highland highlights the character of the land by restoring and retaining the Wetland, Live Oaks & Bio Swales. Best management practices put in place for water drainage and retention. Architecturally restricted development to ensure integrity of the design intent. Welcome to the best location in town. Nestled between two major arteries of Baton Rouge and pristine Bluebonnet swamp @Highland has the best views. It’s designed to have secure, restricted access with onsite parking and all amenities of modern business park such as high speed internet/voice, LED lighting, sprinkler system and rich boardwalks. 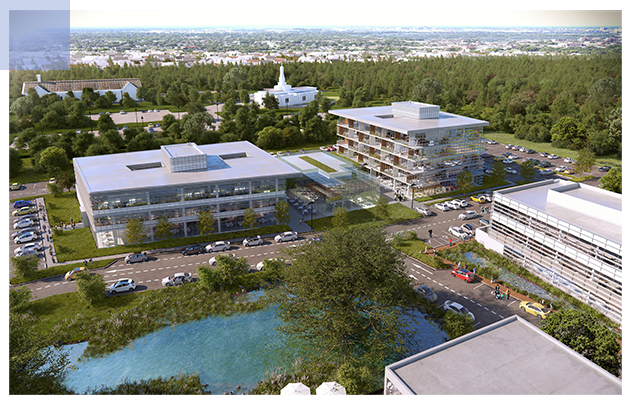 High tech office park planned for 8-acre site at Highland and Bluebonnet. The new development will be called @Highland. General Informatics breaks ground on @Highland, a new high-end office park and unveils new technology. Where innovation meets technology; Watch the 3D Walk-Through video and get a glimpse of the upcoming space. @Highland is expected to open in the summer of 2017. Stay tuned for the latest developments! 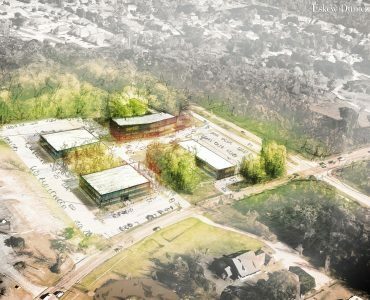 Phase I of the project opens up the most desired office space in Baton Rouge. Architected in Glass and steel with redundant internet and voice connections. Phases II and III will open another 100,000 sq. ft. of space both commercial and resident. 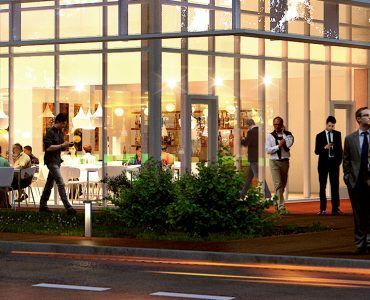 We are offering build to lease and investment opportunities for these phases. 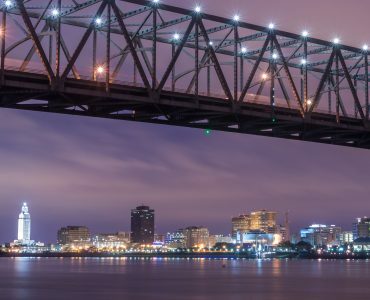 Baton Rouge is gaining momentum – vibrant demographics, LSU energy and growing economy. Ready to compete capital city is transforming itself and is becoming a symbol of responsible progress. 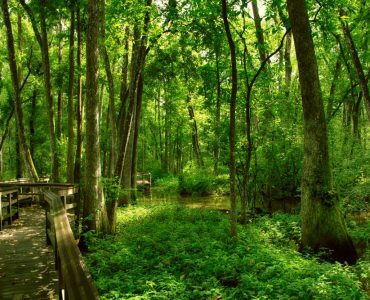 Situated next to the scenic Bluebonnet Swamp, @Highland has the potential to revitalize a forgotten city asset, highlighting the character of the land by restoring and retaining the Wetland, Live Oaks & Bio Swales. We have been compared to Austin, to Raleigh and to Charlotte. Integrating natural features with sleek, progressive architecture @Highland is a statement – Given a chance and Baton Rouge can stand on its own. @Highland guarantees to become the new rendezvous for both the Business and Social minds. 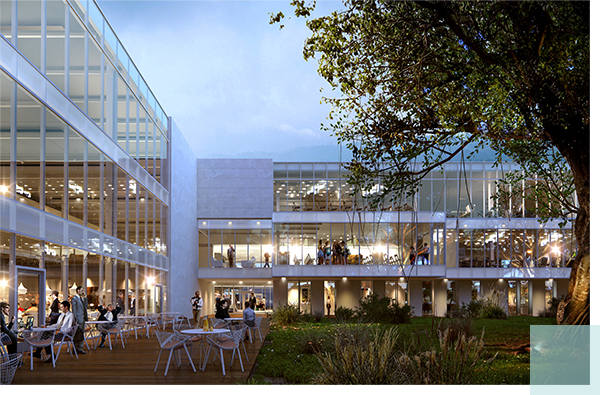 Our ideally situated, mixed use campus will serve the Perkins, Highland, Bluebonnet, Burbank, Nicholson corridor.